Today FlashFrame launched an entirely revamped internal site for Photographers. Last month we launched our new Whitelabel solution and improved billing scheme. We’ve been very pleased with all of the feedback that has come through regarding the Whitelabel and with it have been able to implement a few improvements as well as prepare for a few new features that are coming down the pipeline! With FlashFrame’s continued growth in user base in the recent months we’ve received a lot of feedback regarding the User Experience for the photographer/event manager on our website. Our storefronts and customer experience have been continually revamped but it’s been some time since there was a major improvement to the internal site. Today we’re excited to announce the launch of our new internal interface for FlashFrame Users! We’ve developed the site to hopefully offer the same usability as other major photography management services such as Smugmug, Lightroom, and Picassa while still maintaining the lightweight and efficient FlashFrame aesthetic. The features are still built with our end user, the photographer in mind allowing them access to all of the features that they would need to properly manage, market, and sell their sports photography. Upon logging into your account you’ll be able to see a lot of new pages for Upload Photos, Tagging Images, and Managing your work. The new Home page is called Galleries. Here you’ll be able to edit the Name, Location and Date of albums that you own. 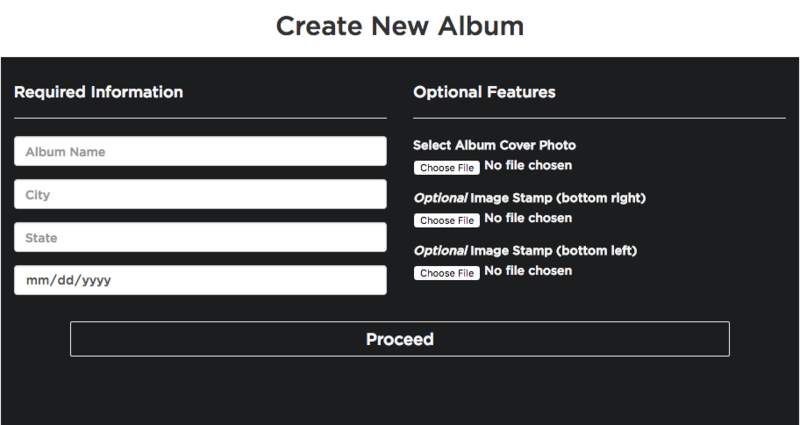 You can also change the cover photo to your album as well as add custom Stamps in the bottom left or right corner of you album. Just be sure to add the stamps before photos are uploaded or they will not be included on the images as the stamps are added during processing and tagging. You’ll only be able to edit albums that you own. But, you’ll still be able to view open albums that you contribute to, as well as click into the album to view and edit and add tags to photos. The upload portal now exists as it’s own page. 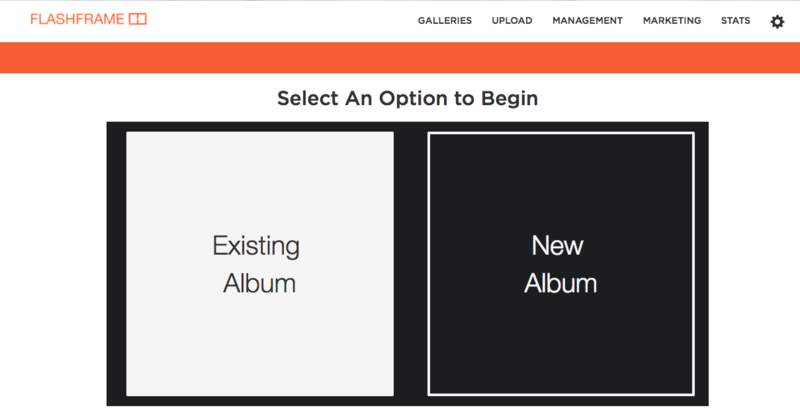 When entering the upload portal you’ll decide between uploading photos to an already existing album (whether one of your own, or an album available for public contribution) or creating a new gallery that you can then begin uploading images into. You can either drag images or select them by clicking on the select button. After selecting files your upload will begin, you can opt to either skip duplicate images or upload multiple copies of duplicates. The management tab includes day-to-day features that you can use to manage your FlashFrame account. 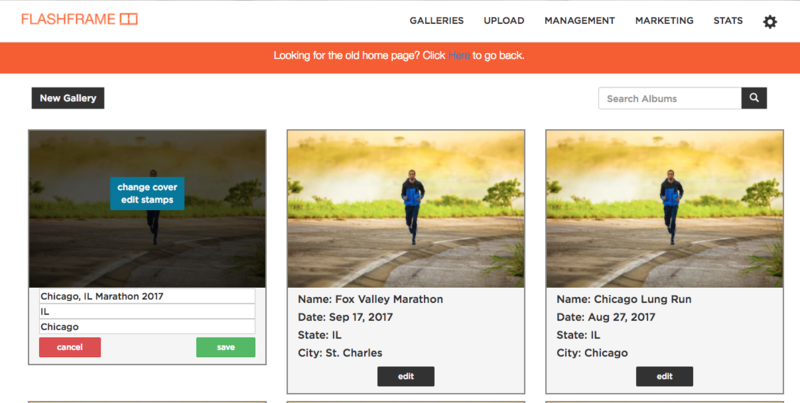 If you’d like to upload a participant roster with bib numbers and participant names to better facilitate searching you can do that on the main page. You can also now manage both your sales Inventory and Packages. By adding inventory, you can allow your customers to purchase different items including a variety of items from larger canvases to phone cases. Each of the items can have the price individually altered so that you can dicatate your profit margin on each individual item. 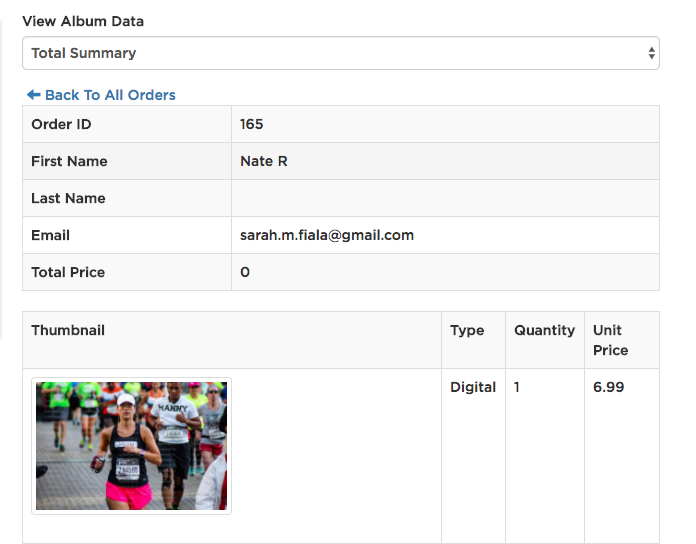 If you'd like to offer package deals to your customers (For example 2 prints and a digital download for $15) then you can also create them in the Packages portion of the management tab. Make sure to keep up to date with your packages, you can offer multiple types with different assortments of inventory in them. BUT, remember to add a markup to your items and packages so you can earn money on the sale, otherwise the package will simply be sold to the participant at-cost! Within the Management tab you will also be able to edit your whitelabel settings. There is more information about our whitelabel in previous blog posts but all users will have the ability to view the different customizable features of the whitelabel options. Many photographers and event managers that use FlashFrame take advantage of our automated email marketing tools. Using the same csv template as the bib relate tool you can reach out to all of the participants of your event. After including a custom message FlashFrame will generate an email with your message to each participant. Each email will be personalize, dropping in a watermarked thumbnail for the participant and a link to the rest of their photos. If you are subscribed to our whitelabel then each of your emails will include your own branding and direct users to your whitelabel site instead of the standard FlashFrame album. We expect more updates coming down the pipeline to customize email templates to users and to customize different marketing to your participants. The latest available feature is the Stats page. In the Stats page you will be able to track sales data from all of your events. The page defaults to an overview of all of your event informing you how many photos you've uploaded, how many have been downloaded and what amount of sales revenue you've generated. There is a graph on the left that allows you to track sales from each individual event over the past 6 months. From the drop down menu you can drill down to specific events. After selecting an event all of the details will update so you can track sales and download information as well as view a graph of sales over the last 6 months. On the right hand side you can view which photos customers have ordered. There is a list of every order, which you can click into to view the details of the order, how many images/prints the user ordered, the final price and delivery updates. We hope that all of the additional functionality and features of the FlashFrame site will be helpful to all of users and continue to power sports photography in both the US and abroad. As always if you have any questions, comments or feedback please don't hesitate to reach out to support@flashframe.io!